Jenny is Corporate Communications Advisor to the City of Burnside, one of Adelaide'soldest residential areas,well known for its tree lined streets, period architecture and plentiful reserves and gardens.Located in the South Eastern corner of Adelaide and just 10 minutes from the Central Business District, the City of Burnside covers 28 suburbs and has a residential population of 42,000 people. From March 2010 to September 2012 Jenny was Director of Communications for Anglicare SA, the largest not-for-profit welfare organisation in the state. With 24 years experience as a police officer and four years as a police media liaison officer, Jenny has specialised in media and crisis management. 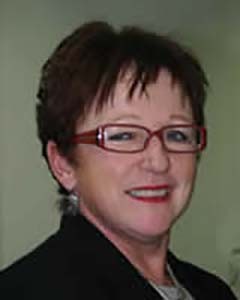 For three years Jenny was the Media Adviser for Centrelink covering South Australia and the Northern Territory. She spent three months working in Alice Springs after the Federal Government intervention was announced in 2007. She holds a Bachelor of Arts (Journalism) and a Masters in Communication Management and lectures part time at the University of South Australia on crisis management and journalism ethics.